When it comes to the healthcare industry, maintaining and complying to regulations is a different ball-game, due to the major repercussions associated with the frequent amendments. A seasoned ethics and compliance professional with more than 14 years of experience across industries—seven of those years in the healthcare market—Stephanie Jenkins, the Chief Compliance Officer of ETHIX360 mentions, “Healthcare is heavily regulated, and compliance and HR professionals in this market are under constant pressure to prevent FWA and other compliance violations.” And rightly so, if an executive of a certain hospital slips up, it can be highly detrimental for the institution as this can stop their federal funding or even shut down their operations altogether. Helping them in their pursuit toward identifying, managing, investigating, and resolving risks is the Charlotte, NC-based company, ETHIX360 through their CaseTrac platform. The company not only helps healthcare institutions in addressing the pain-points of complying to a wide variety of compliance audits—from HIPAA to CMS EHR Incentive Program Audits—they also assist them to improve employee morale and corporate culture internally. “At ETHIX360, our goal is to provide an effective and affordable answer to employee ethics communication and human resources case management with compliance training through world-class partners,” says Stephanie. Through ETHIX360’s holistic CaseTrac platform, the company provides a simple, affordable, and holistic solution for employee ethics communications and case management. The platform allows the clients to institutionalize their policies and procedures into their risk management software, which ensures consistency in execution to help each department reach the best resolution via compliant processes. This also boosts the confidence and morale of the employees as they believe that their concerns will not only be heard by the company management but also responded to in a way that improves their work life and the quality of the company. ETHIX360 also works with its clients to define the programs that should be implemented—including the target constituents, the program branding, and the types of concerns constituents should be reporting on. “We take a proactive approach to client service and go beyond merely reacting to or meeting the clients’ need based on a request or reaction. 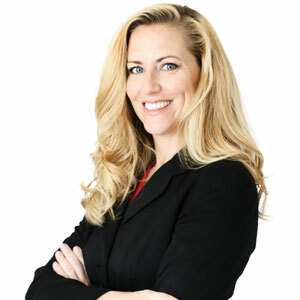 We work with all our clients and focus on their unique compliance journey and program implementation experience level of the client,” states Stephanie. While ETHIX360’s customer-first strategy steers it ahead of the competition, Stephanie mentions that their mobile-first strategy, internal compliance program, and agile development methodology are the other factors that differentiate them. The company operationalizes an agile development shop that allows its software development teams to quickly respond to clients’ needs and the impact of constantly changing regulations. In addition, ETHIX360 strives, as a first-tier downstream vendor, to ensure that they do their part in ensuring their healthcare partners are always in compliance. Having carved a unique niche in the healthcare space through its CaseTrac platform, ETHIX360 plans to continue finding innovative ways to improve ethics communications. To this end, the company is deploying AI in its product which can give employees a more positive reporting experience for less cost. Focused on providing best-in-class ethics communication technology and case management software, ETHIX360 will also continue to allow companies across industries and across the globe to collect and manage all types of compliance and HR issues in a centralized repository. “We would be doing our clients a disservice if we our search for growth through product offerings spreads resources thin. This is why we partner with other best-in-class compliance-focused businesses to address our clients’ Policy Management and HR/Compliance Training needs,” concludes Stephanie.